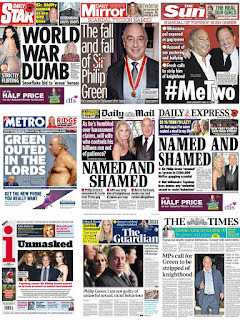 Sands Media Services: Newsquiz: Can you do better than Lizzie's 16? 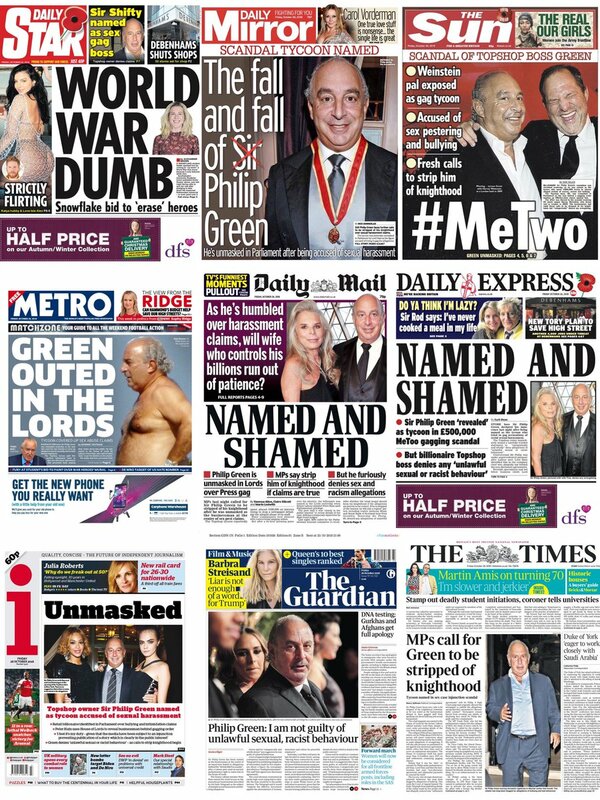 Newsquiz: Can you do better than Lizzie's 16? The Daily Telegraph editorial trainees finished their sixth week of training today. This week they did digital storytelling tools with Andy Drinkwater and podcasting with Christine Garrington and Suchandrika Chakrabarti. Today they have been looking at project work with Mark Wray. They finished, as usual, with the newsquiz. The top scorer this week was Lizzie Roberts with 16, just ahead of Tony Diver on 15. In last week’s newsquiz nobody online could match Telegraph trainee Mason Boycott-Owen’s score of 17. Those coming close were Janet Boyle on 16.5, Adam Batstone, Lucy Thorpe and Meg on 16 and Gavin Devine on 15.5. Here is this week’s quiz. As usual there are 25 questions about the week’s events. Give them an go and see if you can do better than Lizzie's 16. 1. Prime Minister Theresa May told Parliament on Monday that a divorce deal with the EU is what per cent complete? 2. An anonymous Conservative MP faced cross-party condemnation after saying Prime Minister Theresa May should bring her own what to a backbencher 1922 committee meeting? 3. Prime Minister Theresa May survived a confrontation with her party at the 1922 committee, after which Brexiteer Michael Fabricant said the atmosphere was 'not a lion's den but a ____ ____’. What are the missing two words? 4. Sir Jeremy Heywood stepped down from which position, saying it was with 'great sadness' that he was retiring on medical advice? 5. 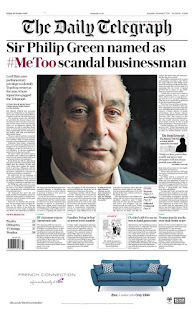 Three Court of Appeal judges granted an injunction to stop which newspaper publishing details of harassment claims against a leading businessman? 6. Sir Philip Green was later identified in Parliament as the businessman at the centre of the harassment claims. Who identified him? 7. A suspect package, similar to those sent to high-profile critics of Donald Trump, was found at Tribeca Enterprises - including a grill and film production company - in Manhattan. Who were they addressed to? 8. Which two companies were fined millions of euros by Italian authorities over 'planned obsolescence’ of their products? Half a point for each. 9. Which High Street company announced the closure of 50 stores, putting up to 4,000 jobs at risk, after a £500million annual loss? 10. What was US President Donald Trump describing when he said 'the cover-up was the worst in the history of cover-ups’? 11. Which city said it would report the ‘unacceptable' racial abuse of a black woman on a Ryanair flight as a possible hate crime? 12. Who gave a speech saying: ’When girls are given the right tools to succeed, they can create incredible futures, not only for themselves but also for those around them’? 13. Which country has been accused of locking away around one million Muslim people in prison camps? 14. A study by the Institute of Cancer Research suggested that thousands of patients with what cancer could have their lives extended thanks to a ‘monumental’ breakthrough? 15. Which company revealed it will build electric cars in Singapore, launching them in 2021? 16. Who announced on Twitter 'that I am proud to have become a Muslim’ and said she had been give a new name, Shuhada Davitt? 17. One of the founders of which fashion brand, known for provocative ad campaigns and colorful knitwear, died age 77? 18. Which Premier League football team won twice this week to record 11 consecutive victories in all competitions for the first time since 2007? 19. A study by the Environment Agency Austria estimated that more than 50 percent of the world population might have what in their body? 20.Why was Great Tew in Oxfordshire in the headlines? 21. What is the name of the Egyptian-American actor who plays Queen frontman Freddie Mercury in new biopic Bohemian Rhapsody? 22. Why was 56-year-old Alain Robert arrested in London? 23. Why has American TV presenter Larysa Switlyk been in the news? 24. Who said this week: 'Radio 2 has been a quite wonderful experience – my happiest in radio I think – but new adventures beckon and I cannot wait to get started’? 25. Actor David Schwimmer posted a spoof video of himself carrying beer cans in a New York supermarket after police issued a theft appeal for a lookalike who really did steal beer in which UK town? The newsquiz: Can you beat Jack's 19?